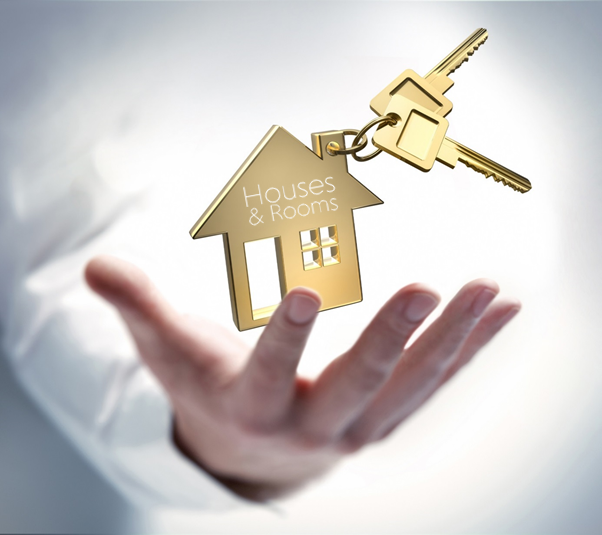 Houses & Rooms can guide you through the entire sales process or some services to take care of, such as drafting a contract or placing your property on major property websites. See below how your property can be sold. You have decided that your property goes on sale, but at what price? Our brokers know the local market and will recommend a realistic asking price corresponding to the market value. We consider issues such as lease, easements, technical condition, energy and possible defects. The buyer does have the right to know how the energy situation in your home and whether there are flaws. A sign in the yard to sell your home is a step in the right direction. However, there are more ways to show that your property is for sale. Together we determine what media we use to promote your property. Do we choose local newspapers, a sales brochure, posters or do we put it online? We understand the advertising costs and can advise you about the possibilities. Of course, you can consider for a complete makeover of your property by a professional styling consultant, but mostly some minor changes are enough to make your property ready for sale: provide a tidy house, pull the curtains open for maximum light, make the garden tidy, store personal belongings etc. Are there more ways to make your property ready for sale? Houses & Rooms can give you further advise. We welcome potential buyers, and possibly their real estate agent, in your property. You don’t have to be present in this fase, nevertheless: it is often better if you're not there yourself, because the visitor then feel freer to ask questions and to look around. We can answer all questions and provide potential buyers with additional information. If there's a bid real estate agent can adapt to that. Earlier we discussed our bidding strategy with you. We know the margins in which can operate inside and we estimate a bid well in value. Together we determine if a bid is accepted or rejected, or that we will make a counter offer. Your property is sold, because you have accepted the last bid. Congratulations! We suggest you purchase agreement setting out the selling price, completion date and an overview of issues, whether for payment or not, remain in the property. The deed can any conditions precedent are included as a subject of financing, selling their own home or the result of an architectural research. Before you sign, we have carefully reviewed all records with you and will answer your further questions. The buyer has inspected the house and nothing is in the way of an official signing! The notary provides further financial settlement, such as the payment of remaining goods, any repayment term mortgage, property tax and water charges off. If you are interested in hiring a sales broker of Houses & Rooms? Click here to contact us.